Is finally C-O-M-P-L-E-T-E!!! 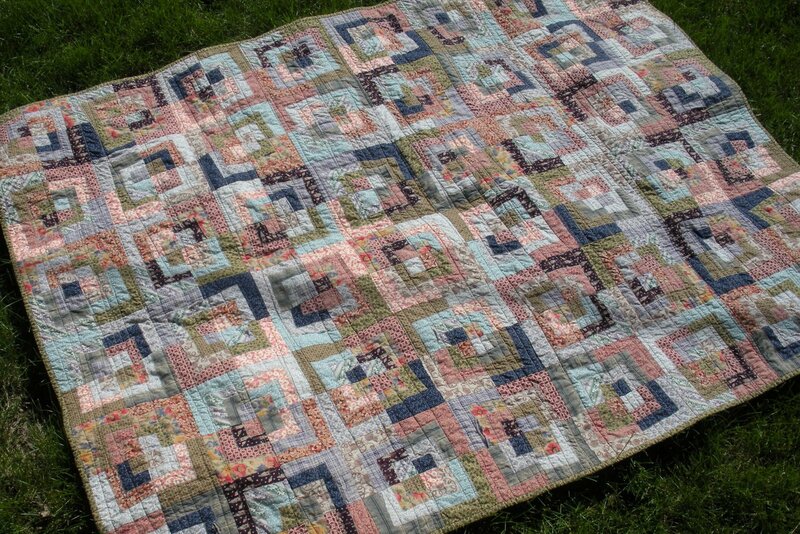 Quilted? Check. Binding sewn on? Check. Laundered? Check. There are a few spots on the top that frayed slightly in the wash (older, poor quality fabrics I used before knowing all I know now about fabrics…) so I have a little repair to do, but then this will become the “car” quilt, the one we keep in the car to use for watching outdoor concerts on the grass, picnics in the park, and for me to huddle under when I’m freezing in the car (because I’m the one that is always cold!). 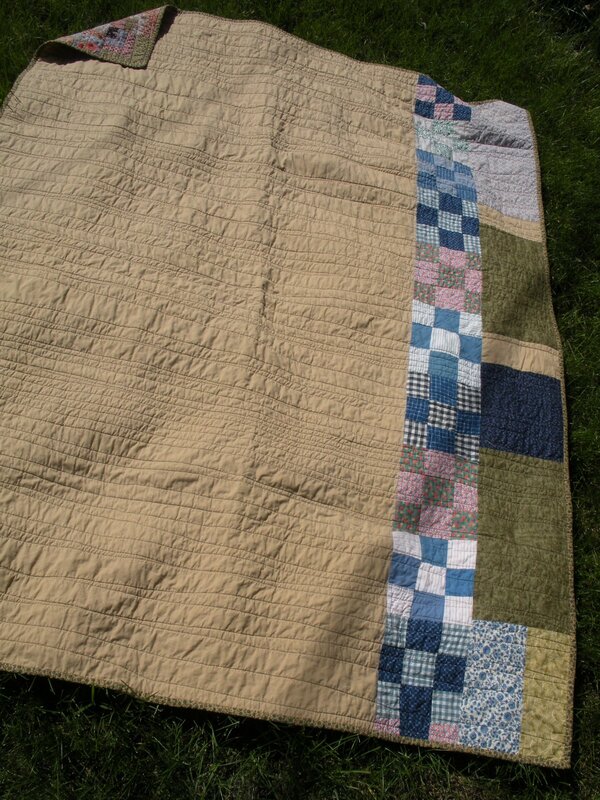 The back is pieced with Kona cotton, scraps from the top, and ten, vintage 9-patch blocks that I found in my stash drawer. 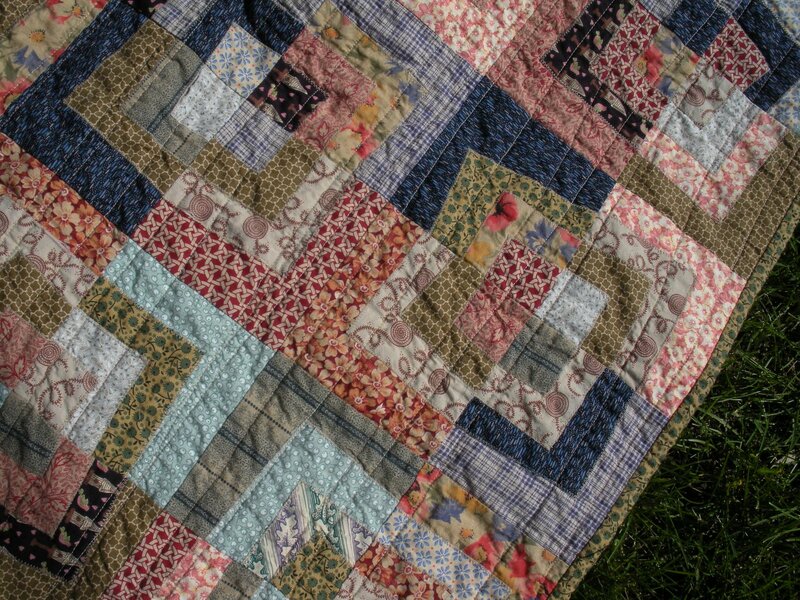 The 9-patches are hand-pieced with shirtings and dress scraps, circa 1900-1910, and they held up better in the washing machine than some of my 1990s fabrics did! Overall, I’m pretty happy with it, even if these aren’t “my kind of fabrics” any longer…it’s done, my oldest UFQ is done. Ahhhh. That’s a good feeling. Way to go!!! doesn’t that feel awesome! snuggle up! It’s really cool – and car quilts are very important – I’m always the one who’s cold too – So I have extra jackets in the car…. 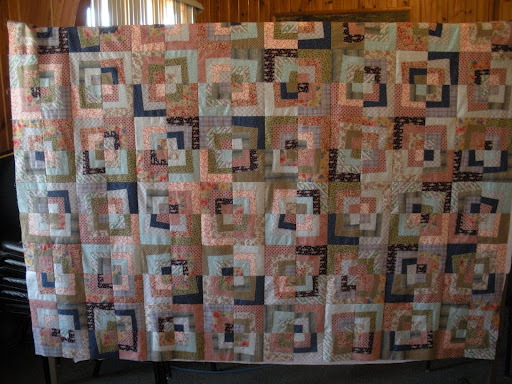 I love the quilting you did on this! Congratulations! This will be so fun to have in the car – good idea. Hmm, I should do that too. You just never know when you’re going to need it. Great job finishing this! great work! 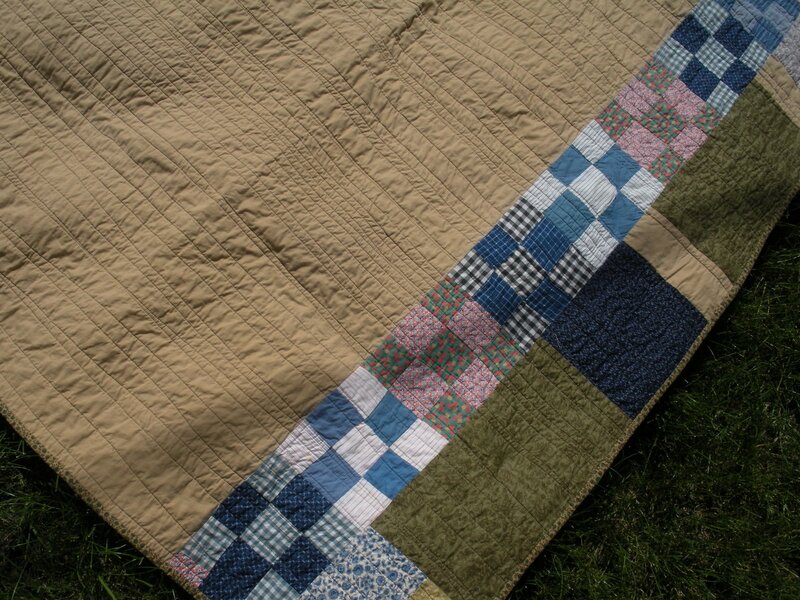 I have been finishing some old quilts I started years ago…..it is such a good feeling! A couple of them I have thought….what was I thinking! !….how my colour choices have changed!